Granted, I’ve only visited Great World City a couple of times, but I feel like it’s one of the better malls in the Central region. After all, there are loads of stores here. That, and it’s home to the Best.GV.Outlet with the comfiest seats. Recently, the mall went through a major facelift, which gave it a new refreshed zone that’s home to a bevy of tantalising F&B stores. 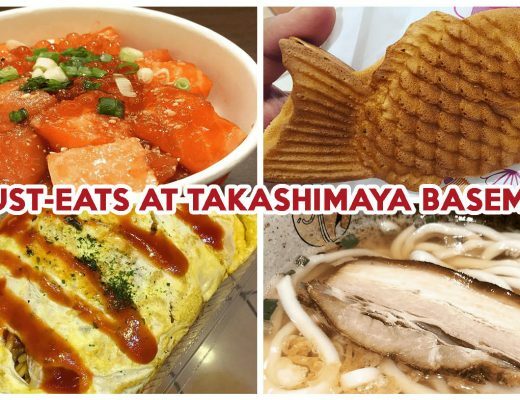 We visited four of these makan places for an appetiser of what to expect. 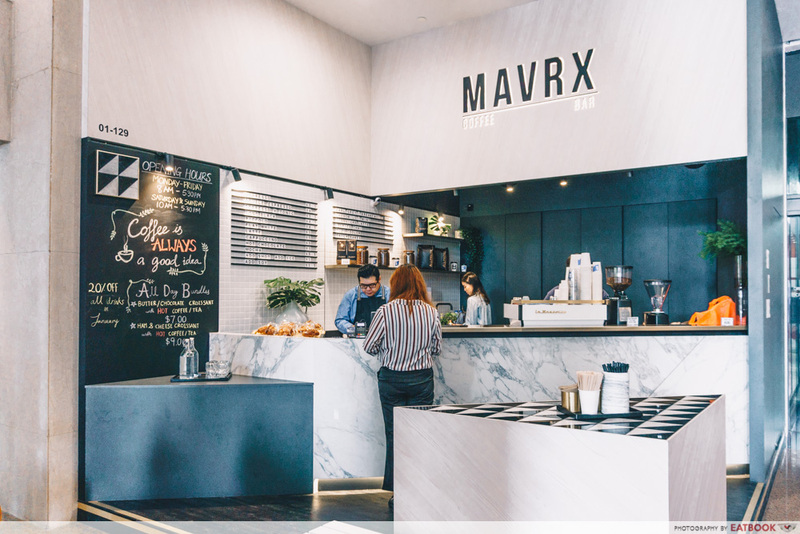 Nestled at the entrance of Great World City’s office lobby, MAVRX Coffee Bar is a godsend for those who need a fuss-free perk-me-up. 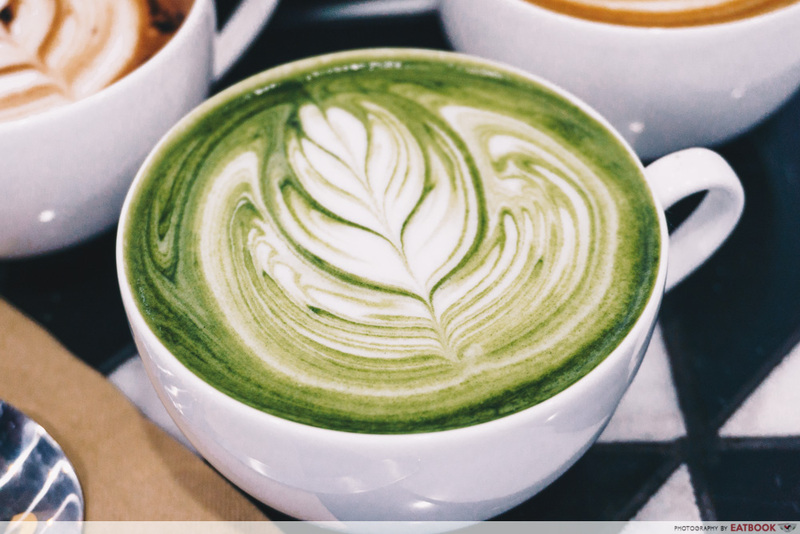 Their menu includes a respectable selection of coffee, teas, and even fizzy drinks – catering to every caffeine tolerance. A drink that’s worth a shot here is the Genmaicha Latte ($5.50). Boasting a dazzling green finish, the cuppa is made from a blend of Japanese green tea and roasted popped brown rice. As you sip it, you can taste the deep notes – from the brown rice – smoothly easing to a mellow sweetness, courtesy of the creamy milk. If you’re looking to get more bang for your buck, be sure to check out their All Day Bundles (from $7) which consist of croissants and hot coffee or tea. For ramen gourmands, Hototogisu Ramen needs no introduction. Back in Tokyo, it was conferred many prestigious awards, including a Michelin star and the title of “No.1 Ramen in Japan”. 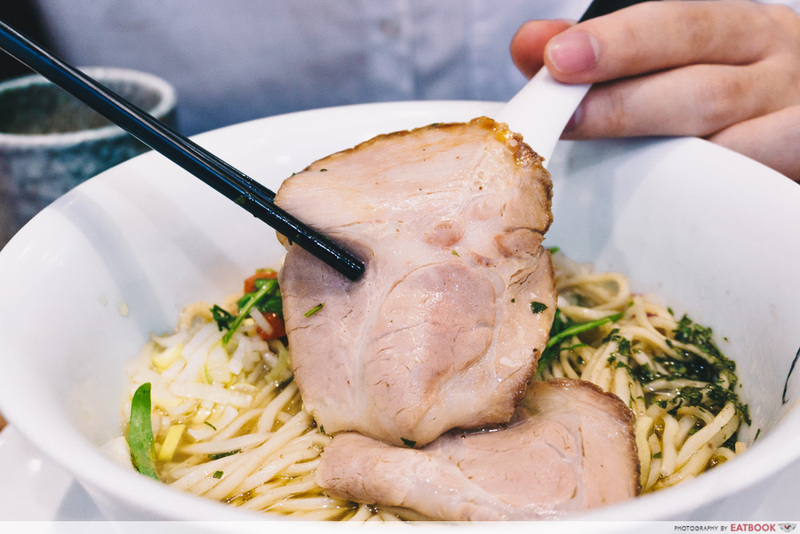 Now, it’s upping the ante with two types of oyster broth ramen – both exclusive to Great World City. The Oyster Paitan Ramen ($15.90++) has a creamy base but still packs a robust flavour, thanks to the multitude of ingredients present. 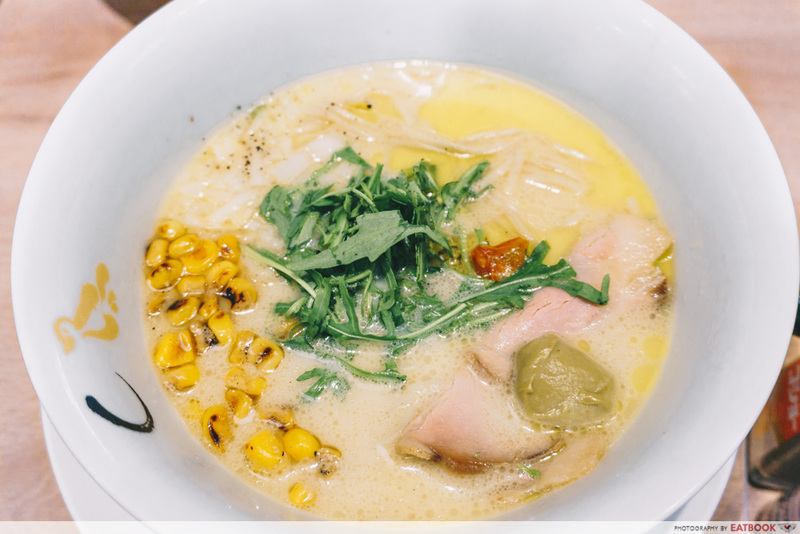 There is a strong umami from the miso, meshed with a smoky flavour from the charred corn. The dish also comes with a slice of baked lemon which helps take the edge off the broth by making it tangier. On the other hand, the Oyster Shio Ramen ($15.90++) has a clear base that’s achieved by slow-cooking oyster consomme at a low temperature. When taken together with the roasted paprika and garlic lemon butter, the dish makes you feel invigorated. Those who are health-conscious will also be glad to know that there’s no MSG in any of their ramen. Whether you’re on a strict pescatarian diet or an avid fan of fish in general, Four Seas Fish Grill has a menu that’ll satiate your cravings. The restaurant serves multiple kinds of fish, cooked in a variety of ways to maximise their flavour. 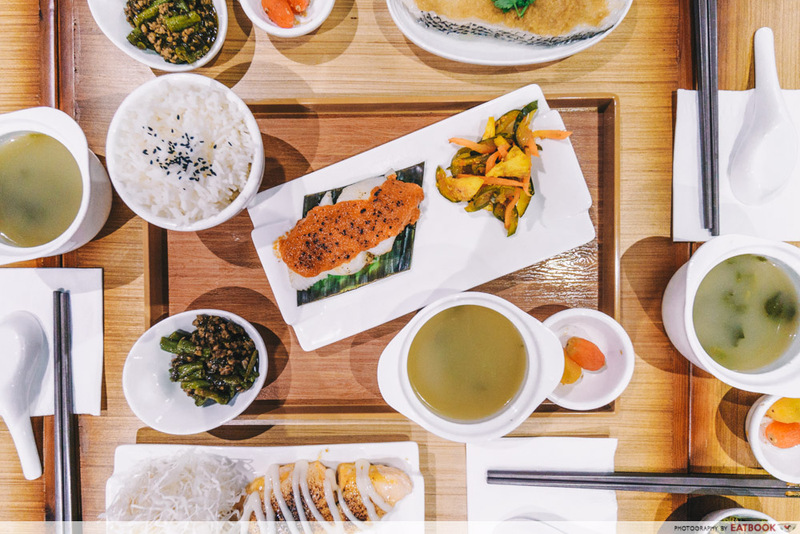 Each set comes with steamed rice, an appetiser, a plate of pickled cherry tomatoes and soup. 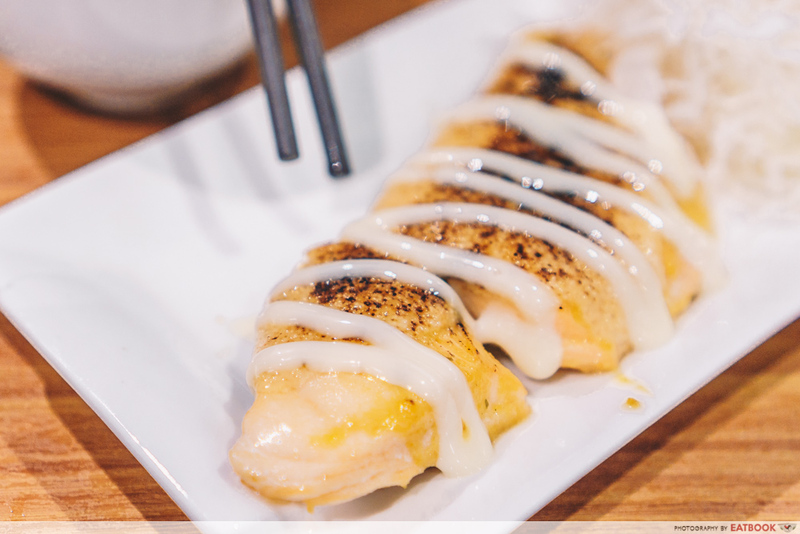 One dish of note is the Grilled Salmon with Mentaiko Mayo set ($14.80++). The creamy mentaiko added some richness to the fish, and gave the overall dish a slightly spicy aftertaste. 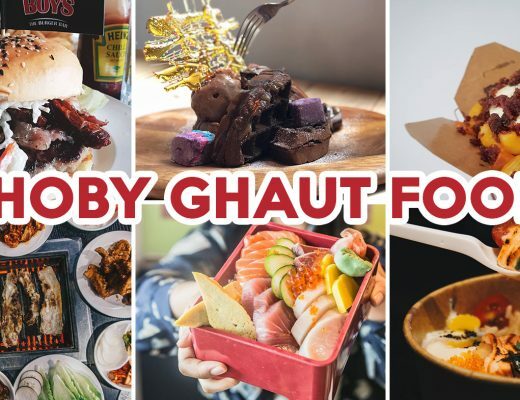 However, if you’re looking to dive head first into a world of spiciness, you can’t go wrong with the Grilled Halibut with Homemade Sambal Chilli ($13.80++). The sambal has a strong hae bee hiam taste, and slowly builds up in your mouth – making you reach for a glass of water in no time. The pièce de résistance of Ho Fook Hei Soy Sauce Chicken is by far their Specialty Rose Wine Soy Chicken ($18++ for half chicken, $34++ for whole chicken). Poached in an aromatic blend of soy sauce and secret Chinese herbs, the chicken is flavourful to the bone with a citrusy fragrance. 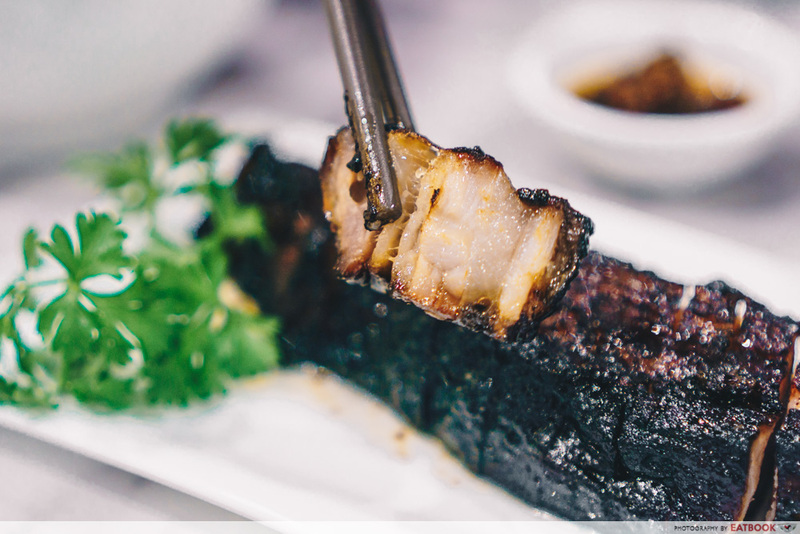 Complete your meal with the Honey-Glazed Black Barbeque Pork Belly ($12++). Drizzled in oyster sauce and rose wine, the pork has a thick, succulent layer of fat that oozes in every bite. The crunchy charred bits also give the pork a slight bitter note that adds a dimension to the dish. 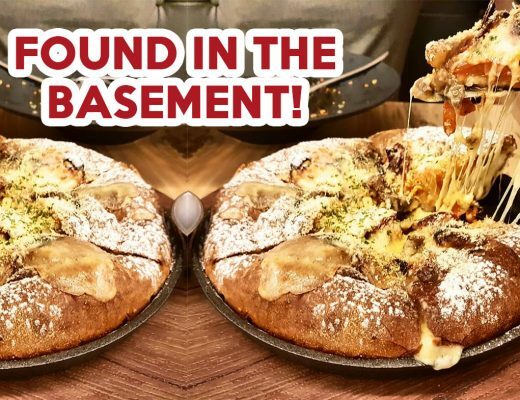 When it comes to new stores at the refreshed Great World City, these four restaurants are just the tip of the iceberg. 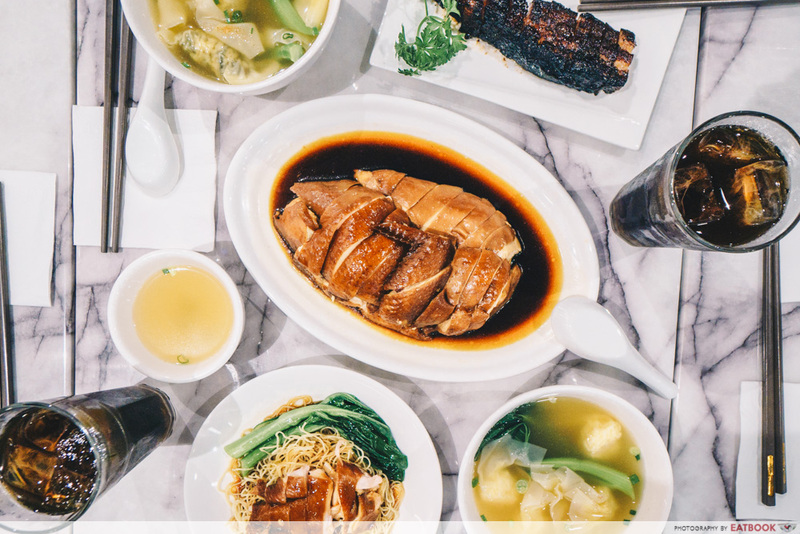 Visitors can also expect to find other spanking new joints like Tim Ho Wan, Ya Kun Kaya Toast and Imperial Treasure Steamboat. 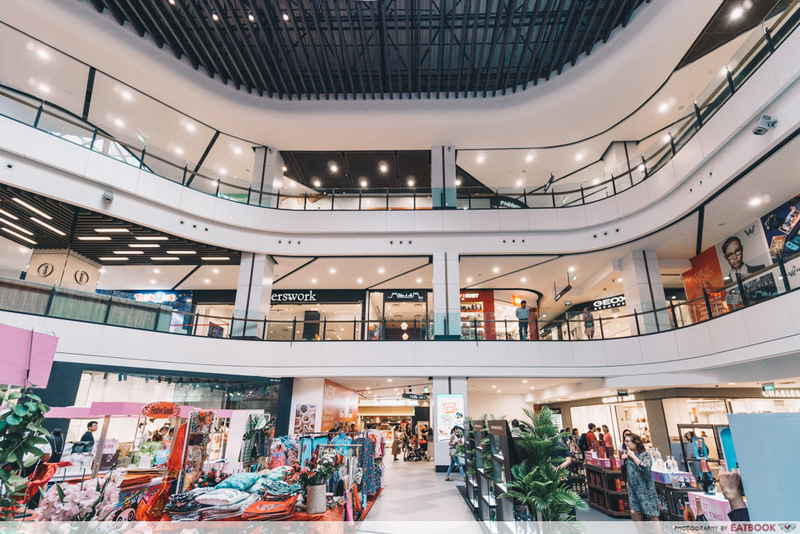 Be sure to make a family date out of your visit here as the refreshed zone also has a myriad of fambam-friendly places like Toys“R”Us, motherswork, and Amazonia! Find out more about Great World City’s new offerings here! Photos taken by Thaddeus Lim. This post is brought to you by Great World City.